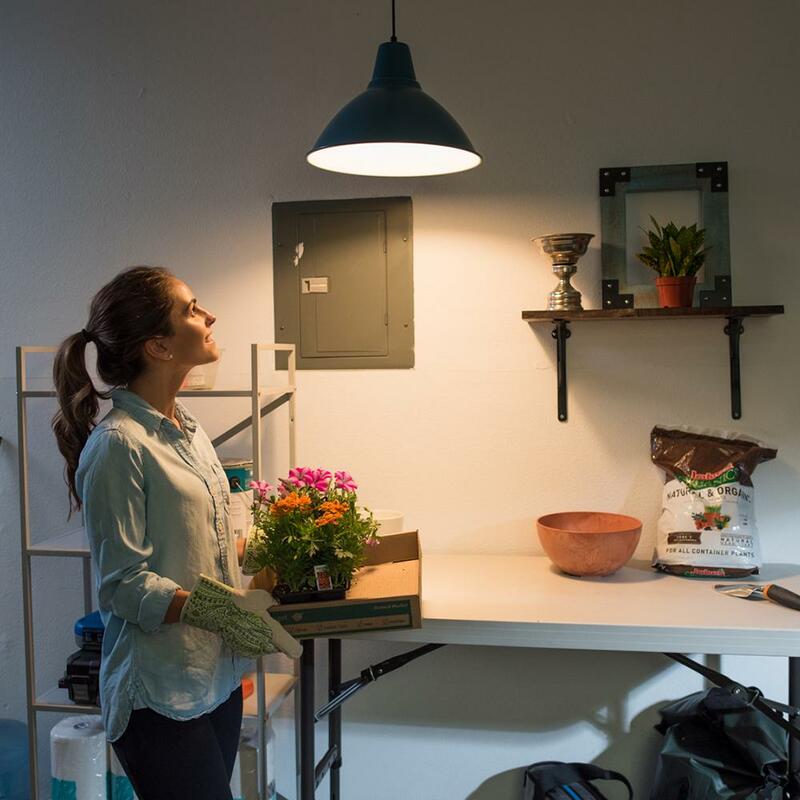 Until recently, having your light fixtures come on and off when you wanted meant timers, bulky adapters, extra wiring, or even having to replace the fixture itself. Since these bulbs already have these features built right into them, you'll no longer need adapters that may not fit once the shade or glass is placed over them. All of them can be used for outdoor applications as well, PROVIDED that the bulb will get rain directly on it. And since all are LED, you'll get many years of high performance lighting without using a lot of energy. Let's get started to talk about these amazing new light bulbs. 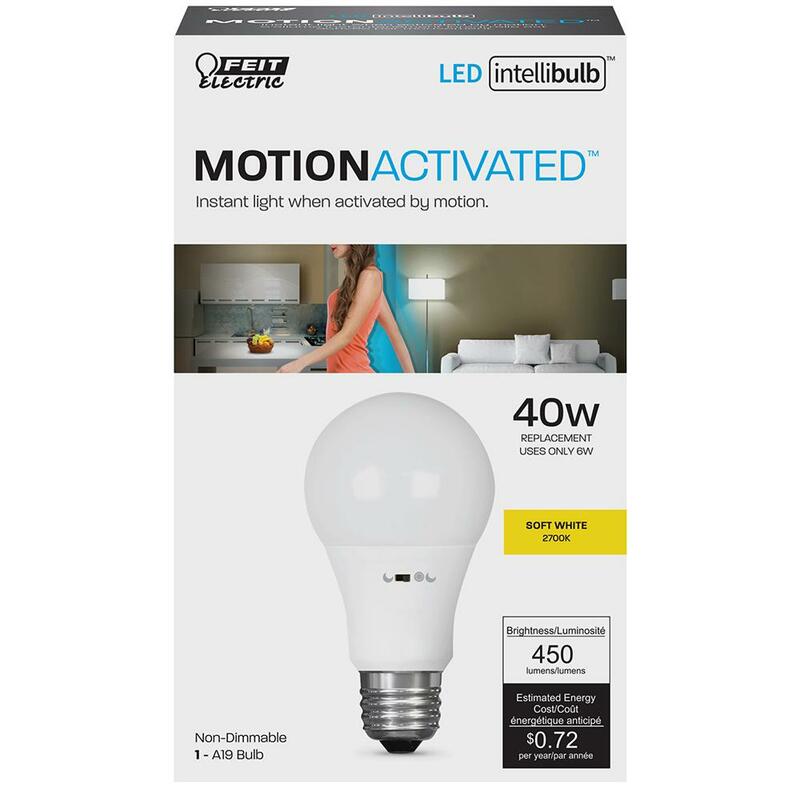 As the name suggests, this light bulb is motion activated, which means it will turn on whenever any presence is detected where it is placed. While you can use them in glass shades lighting fixtures, the sensor works best for more open, exposed fixtures for them to operate better. Use these in areas such as laundry rooms, mud rooms, or anywhere you enter your home to get instant light when you need it. It's a big plus to have the lights turn on for you while your hands are full with groceries or laundry! Since this light bulb as well as the other Intellibulbs require no app or special hardware, anyone can enjoy the benefits of this lighting! Simply screw it into the medium-based socket of the fixture you wish to use it in and enjoy! 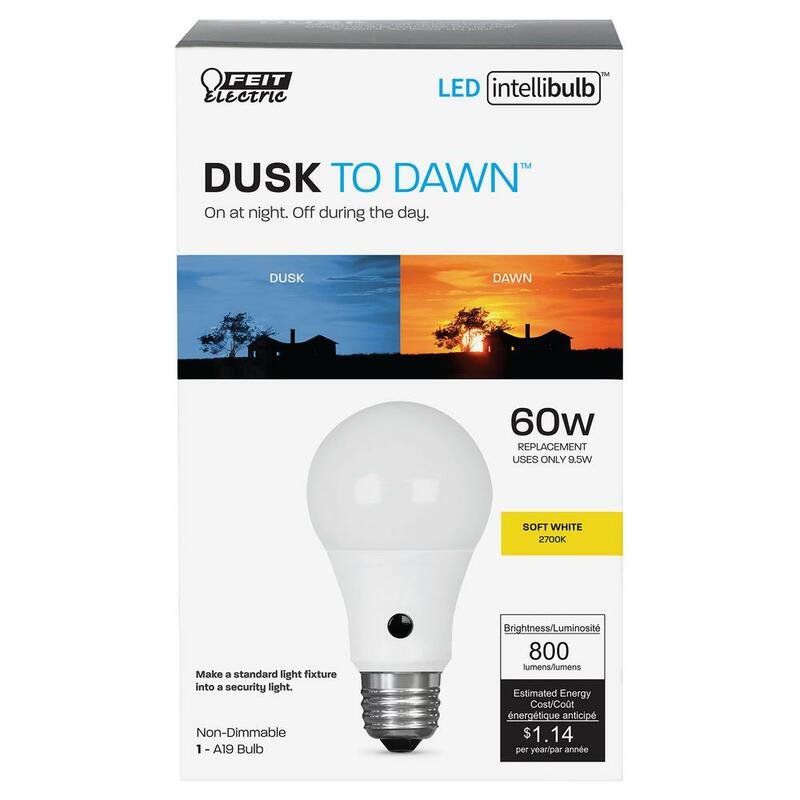 This light bulb will turn on automatically once the sun starts to set, and off once it detects sunlight at dawn. 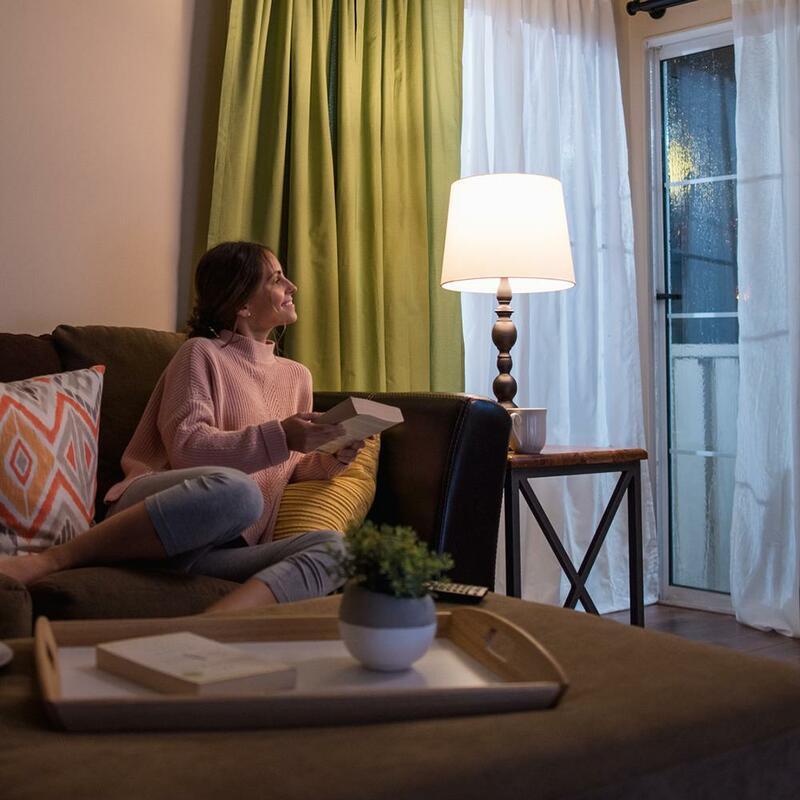 While most customers typically use these for exterior applications, you can use them in areas that get sunlight in your home, like a lamp next to a window. For best performance, using a clear glass or exposed fixture will work best for the eye to turn on and off when the sun goes down or up. And just like other Intellibulbs, the LED light source will give you over 13 years of lighting, based on using it 3 hours a day. Of all the 3 options of Intellibulbs, this one is definitely the most unique and needed. 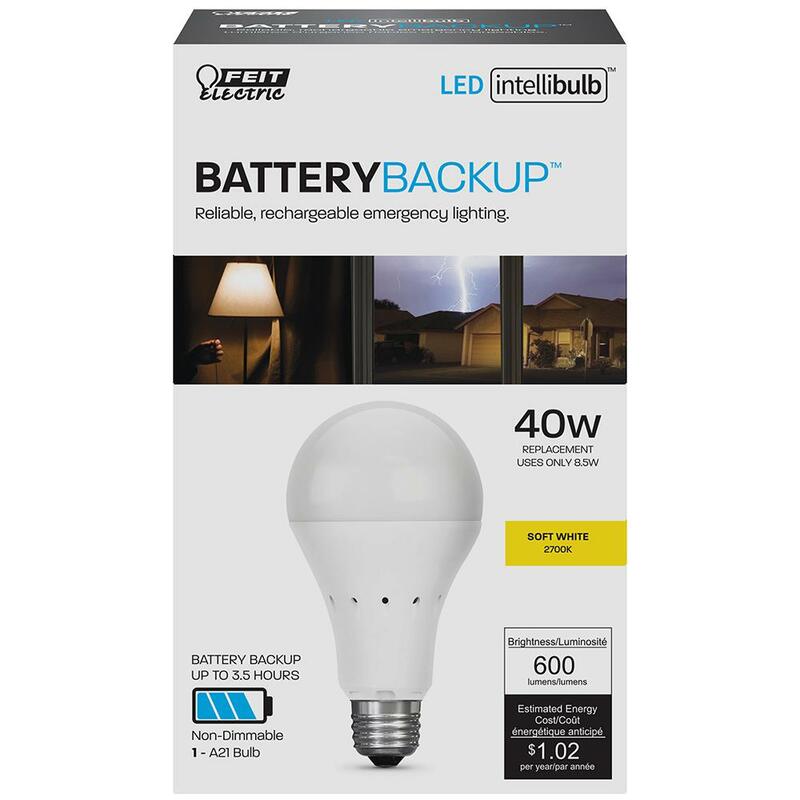 If you've ever experienced power going off at your house, this light bulb will turn off with battery backup! You'll get up to 3 hours of continuous lighting after the power has been turned off. This makes it exceptionally great after a storm or during hurricane season. Consider any of these 3 light bulb options the next time you are in the need for energy efficient lighting throughout your home.